Pardon my lack of timely up-dates the last couple weeks. Trav and I both reached the “I’m super stressed and tired about this whole thing” moment right at the same time, which meant we were working through some stuff. We were able to press on, make all the decisions that needed to be made, and now we’re both feeling really encouraged. The changes that have happened since my last post are rather remarkable! 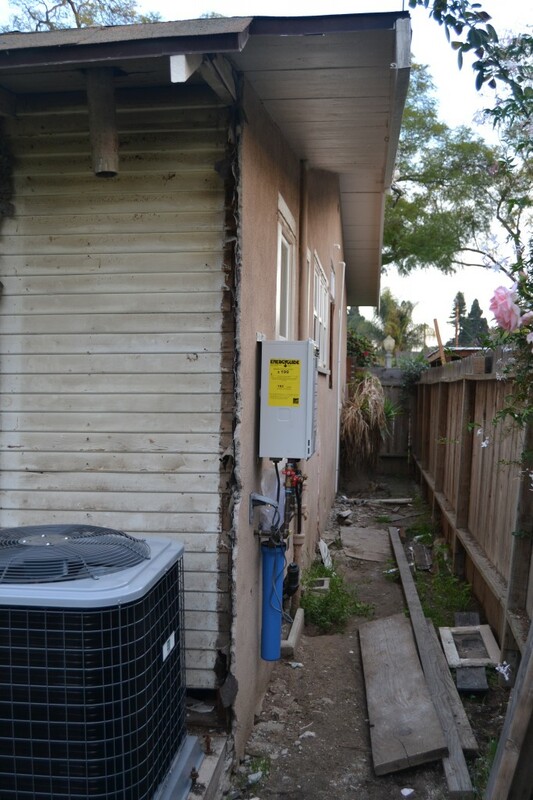 The old water heater and closet were removed, and a tankless water heater was installed. 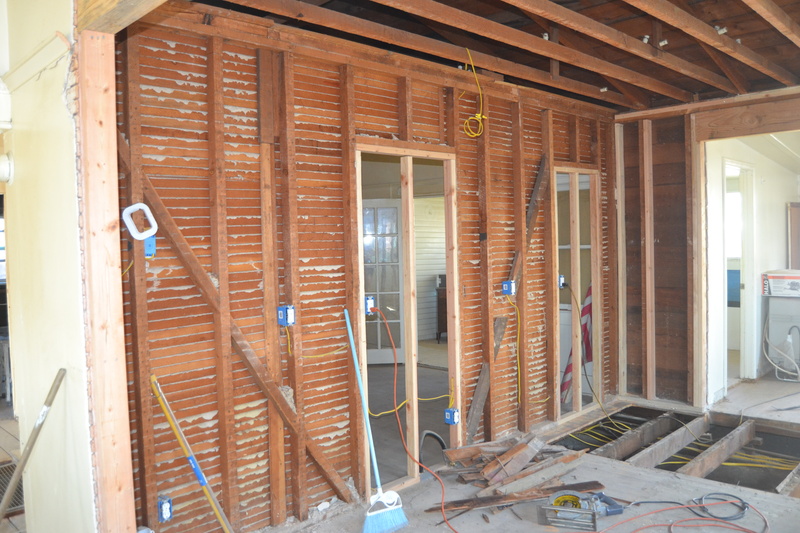 We discovered the old siding under the stucco, and we’re hoping we’ll be able to reuse it and/or uncover other siding when we start the exterior down the road. The air conditioner compressor was placed where the water heater used to be. 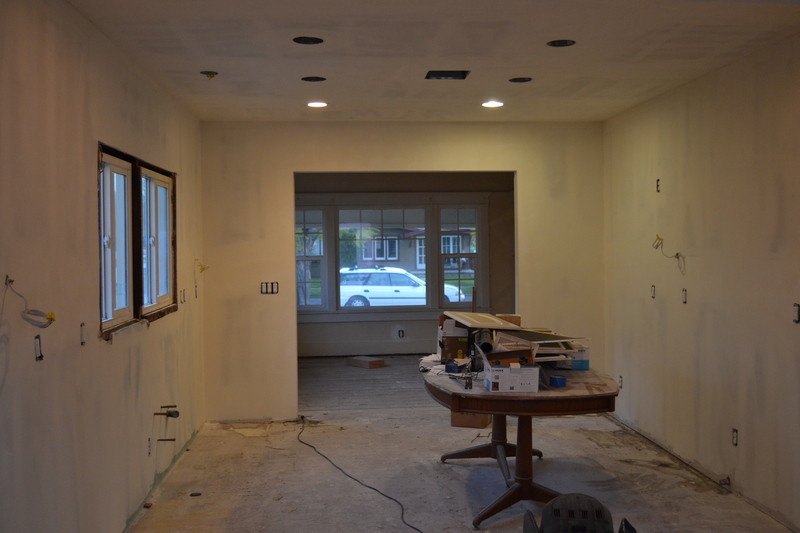 The hallway drywall is completed and looks amazing. 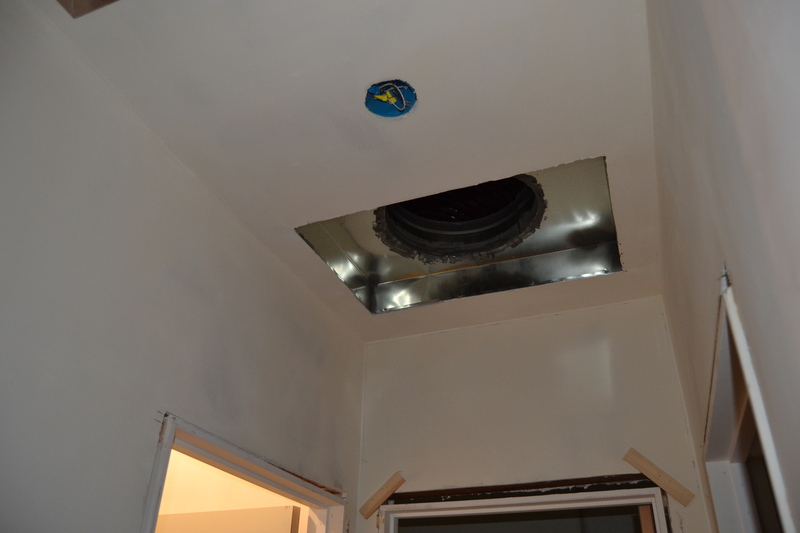 The air conditioner return is located there, along with a crawl space to the attic where the furnace was placed. The bathroom is a little tricky to photograph with all the construction supplies in there at the moment, but here’s a pic of the new drywall and spot for a medicine cabinet. The front bedroom is slowly looking more livable. 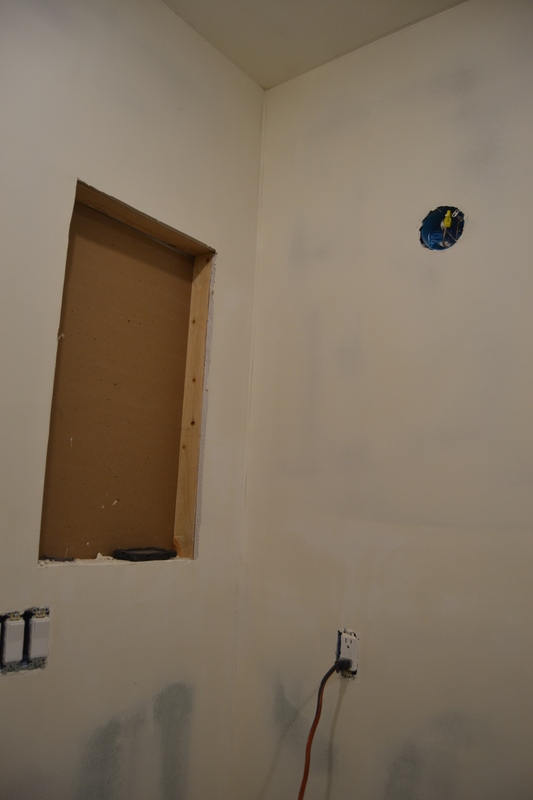 The closet opening was widened and drywalled. 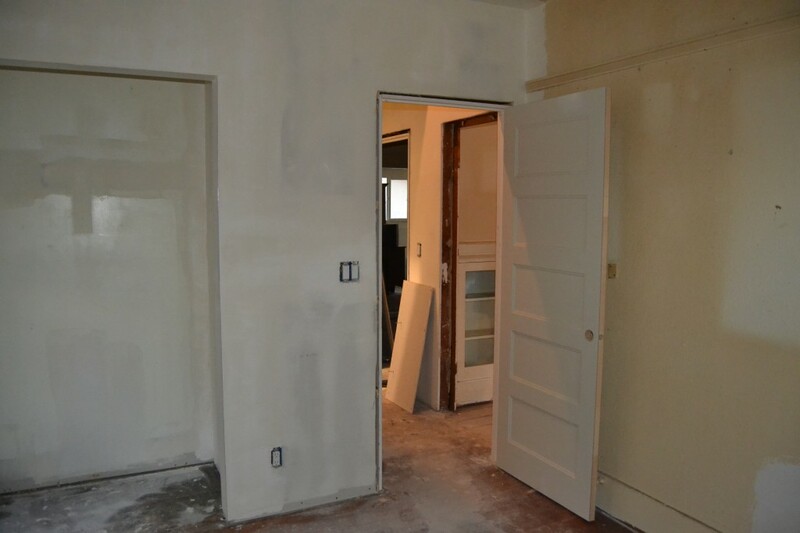 Plus, all the bedrooms and bathroom got new 5-paneled doors. I love them! 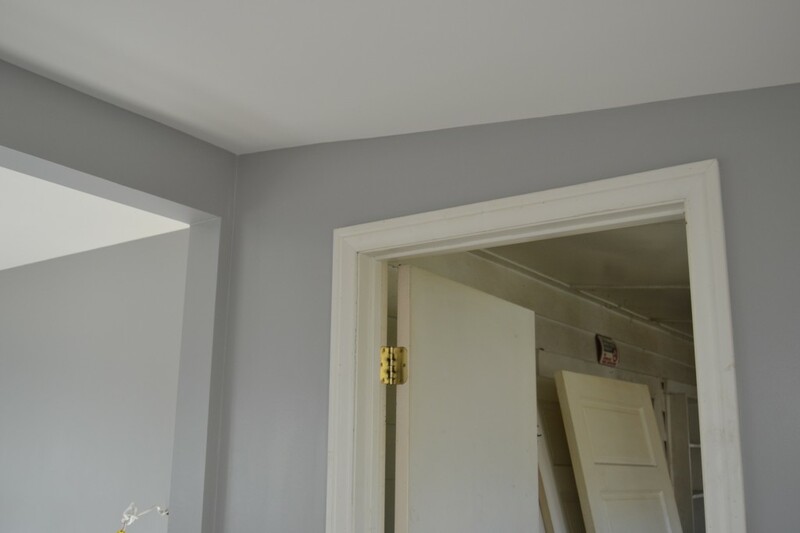 And as of Friday, it is now painted a lovely shade of grey called Gravel (Jeff Lewis for Dunn Edwards). I LOVE how it turned out! 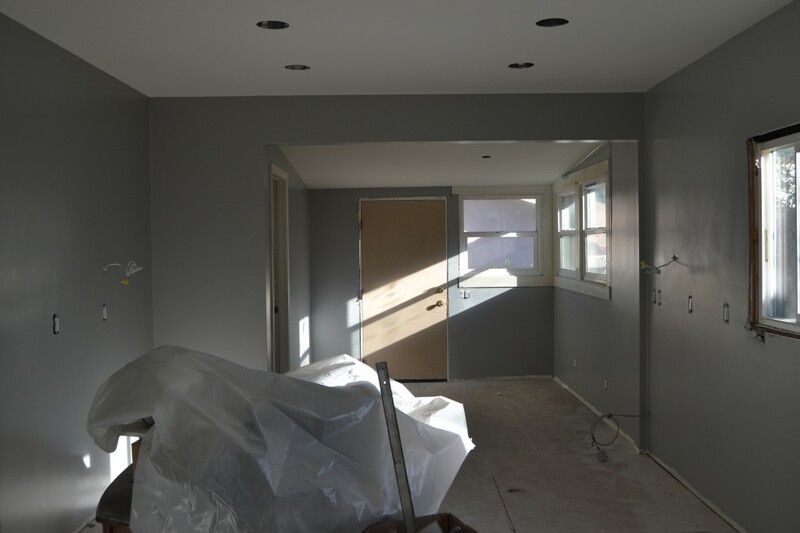 A lot of it will be covered by the kitchen cabinets and backsplash, but it will still be seen in the mudroom and above the sink and headers. 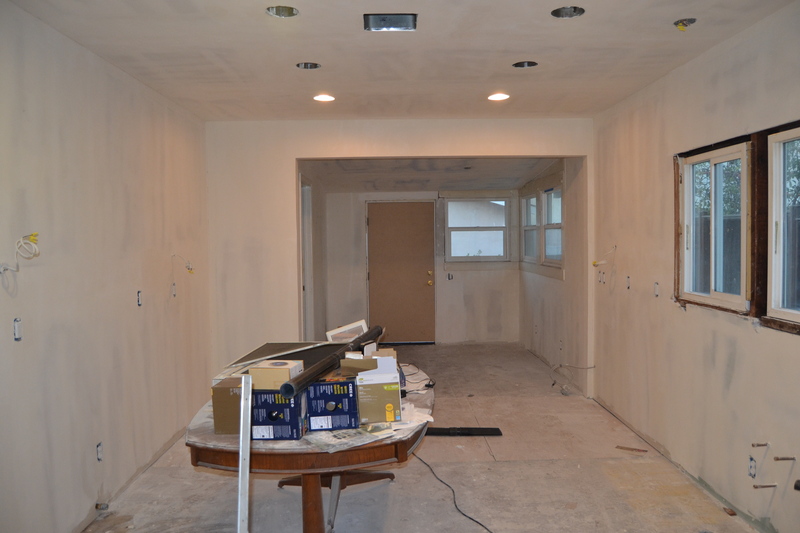 More paint was completed yesterday, and work was done on some of the wood molding today. Yay! I’ll take pictures soon!